September 10th, 2018, is World Suicide Prevention Day and Mental Health Awareness. 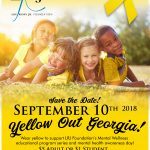 LRJ Foundation’s Educational Chapters will be hosting our Wear Yellow day on the following days. Georgia Chapter September 10,2018. Click here for more info. Pennsylvania Chapter September 21, 2018 Click here for more info. 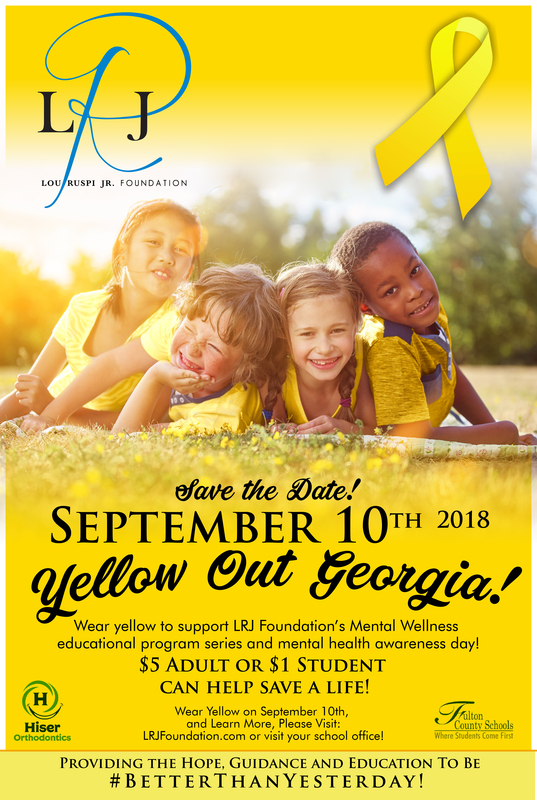 We hope your school and business will wear yellow, and choose to donate to the LRJ Foundation to help us continue our effective work in the schools and community. Our mission is to provide interactive educational seminars on suicide prevention and mental wellness, giving Hope, Guidance and Education to youth and adults and the resources they need to choose LIFE. Contact to join the roster as a participating school/business/group. Donations can be made on our Donation tab and just taking part in Wearing Yellow is a movement to reduce the stigma around mental health. Because mental health matters.